Everybody is in love with the Pineapple decor these days. Everywhere we shop you see pineapples. 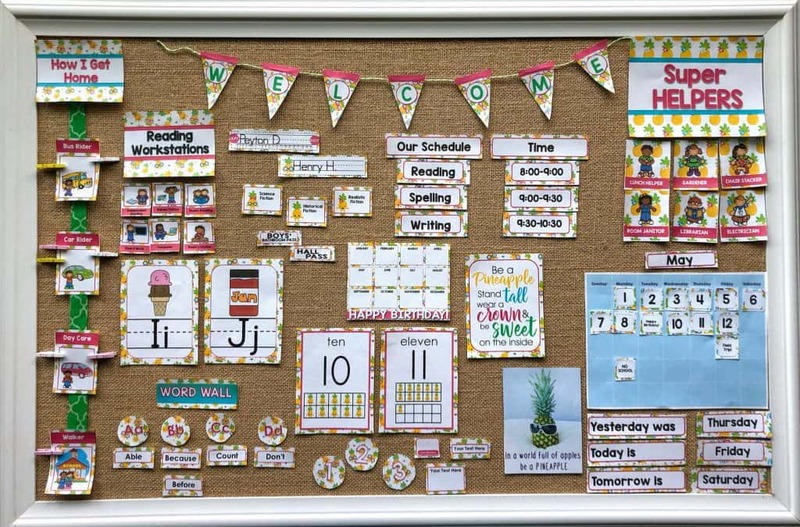 How about bringing that Pineapple theme into your classroom? 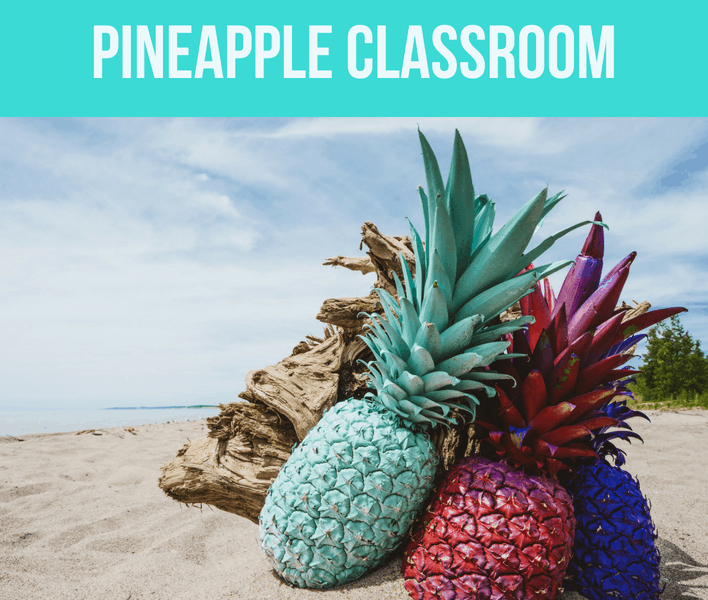 I’m going to share with you some ways you can have a Pineapple Themed Classroom. 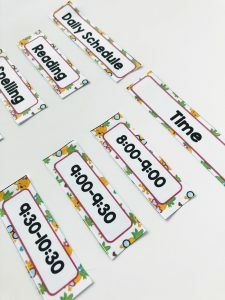 We all need a calendar, number line, alphabet chart, schedule cards, and more for our classroom. If you are doing a certain theme, you definitley want them to match your theme. 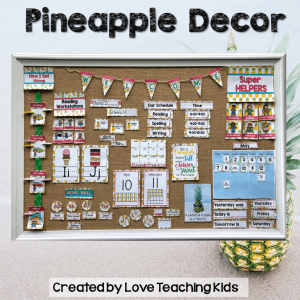 I have created this bright Pineapple theme decor that can be edited for your classroom. There are several different backgrounds. There are over 14 different items included in this Pineapple Themed Bundle. If you like this decor you can preview more of it in my TpT store. 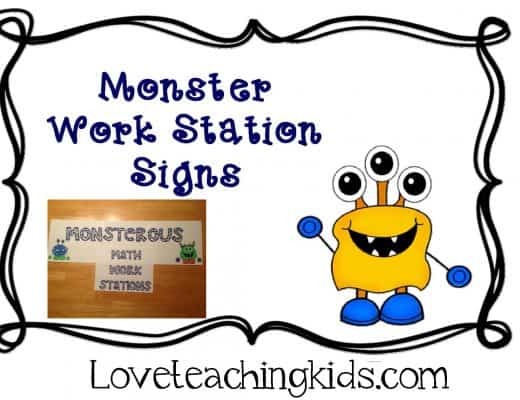 I would love to give you a little sample of the bundle with fun classroom posters I made. 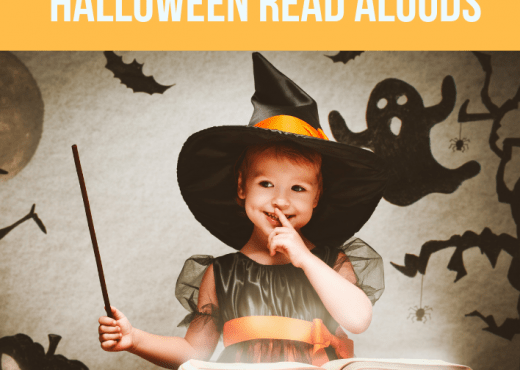 Just click on the picture to download the free posters. 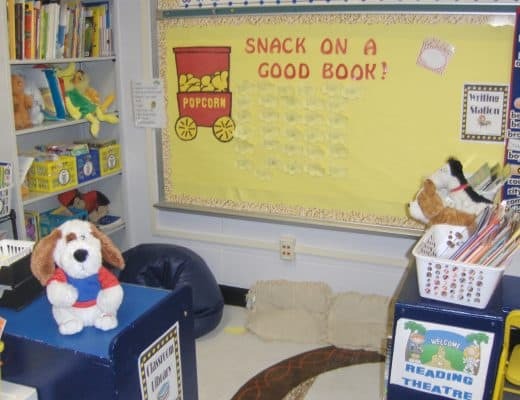 First the Dollar Tree is one of my favorite places to go for my classroom. I recently went and they have their summer decor out. Guess what it is luau themed, with flamingos and pineapples! 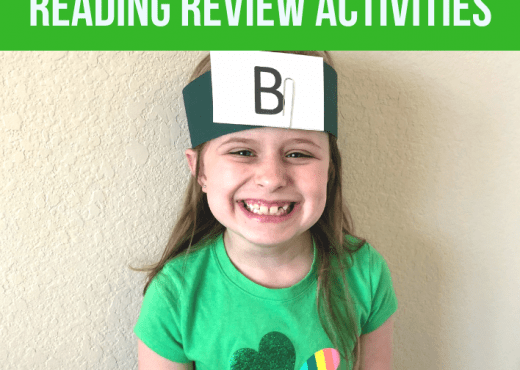 Flamingos is another one of my favorite classroom themes. 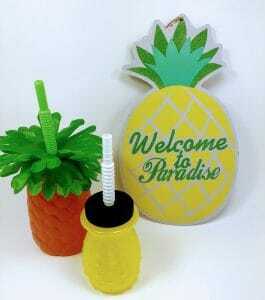 They had some cute pineapple cups and a pineapple sign. They had a cute palm tree also. 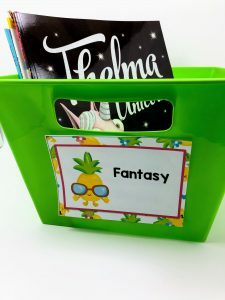 I also love getting my book tubs from Dollar Tree. They have all different colors. I was able to find the bright green to match the Pineapple Theme. Don’t forget about Oriental Trading. They always have cute decorations. They have these adorable hanging lanterns and pineapple centerpieces. 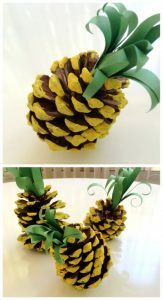 Another DIY idea are these adorable Pineapple Pinecones by Tiffany’s Tidings. These actually don’t look too difficult to make. 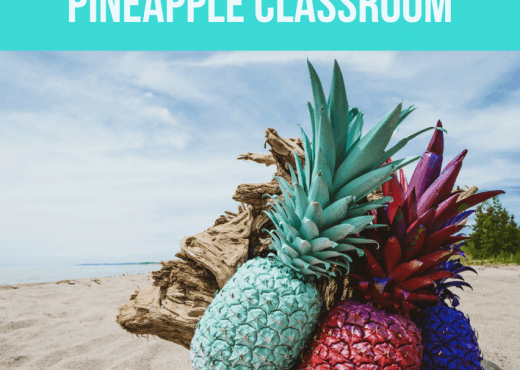 I hope I was able to give you some good ideas for using the Pineapple Theme in your classroom. If you are interested in my Pineapple Theme remember to go check out the previews in my store. Have a great year! 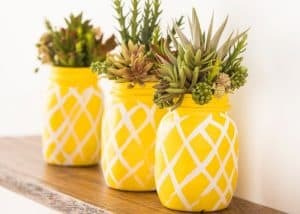 Let me know if you are doing a pineapple theme this year in the comments below. 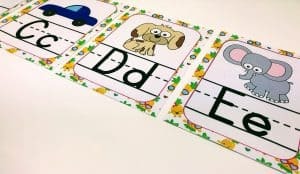 Welcome to the Love Teaching Kids. 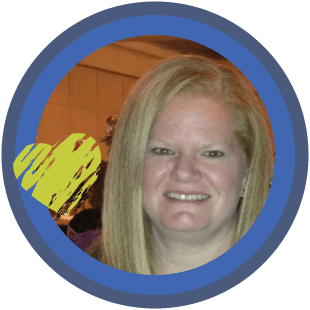 I am a 3rd grade teacher that has been in the classroom for 16 years. I love making a difference in my kids' lives!